Typically, I try to avoid these early morning tastings and taste in the afternoon, but I was told that this was the most comprehensive tasting and the allure of a Bouchon croissant was entirely too much for me to resist. Luckily, my friend Elizabeth Smith (aka Traveling Wine Chick), was able to host me during my visit. 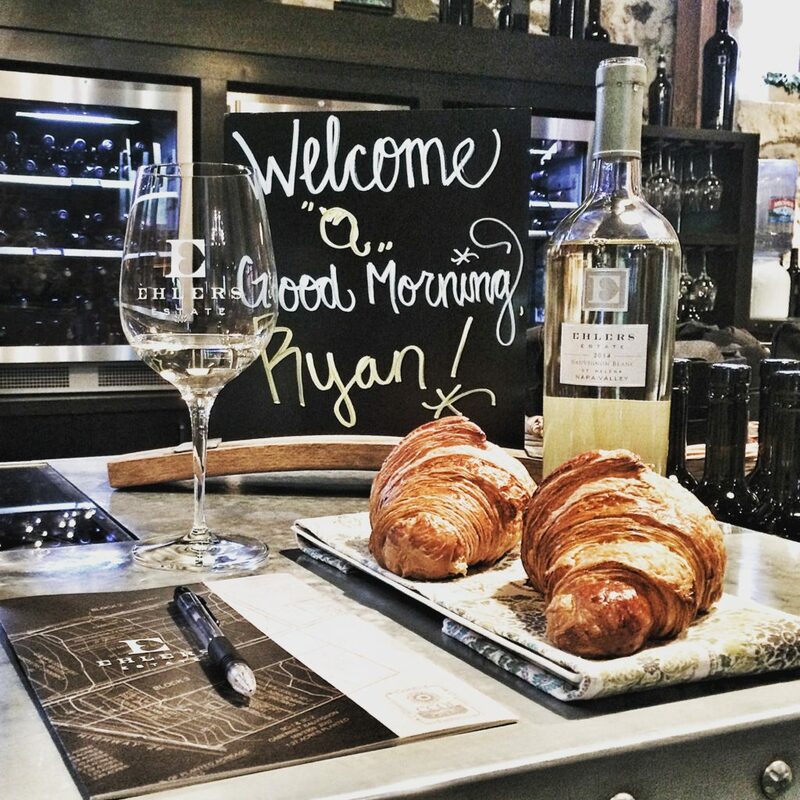 The Start Your Day Tasting Experience ($35) begins promptly at 9:30 am and includes an informative tour of the property, the opportunity to taste a barrel sample in the Barrel Room, and a tasting of Ehlers Estate wines paired with Bouchon Bakery croissants. My Instagram from my visit. You can click the image to check out more! While the wines you’ll taste is based on current availability (due to limited production), there seemed to be no shortage of compelling offerings open behind the bar during my visit. A few of my favorites? The Cabernet Franc, Petit Verdot, J. Leducq Cabernet Sauvignon and the flagship ‘1886’ Cabernet Sauvignon. All were from the 2013 vintage and expertly fashioned by winemaker Kevin Morrisey. Ehlers Estate 1886 Cabernet Sauvignon 2013: The flagship 1886 Cabernet Sauvignon is composed of 85% Cabernet Sauvignon, 8% Cabernet Franc, 5% Merlot and 2% Petit Verdot, all of which is organically grown on the Ehlers Estate in St. Helena. It pours a deep, vivid shade of ruby in the glass. The nose is quite lifted and almost potpourri like with aromas of dried rose petal laced with sweet black raspberry, blueberry and blackberry. In the mouth, it’s medium to full-bodied, spicy, juicy and persistent as flavors of rich dark berries unfold against a backdrop of coffee, cocoa and spice nuances. The mouthfeel is seamless and sophisticated, with a marked purity of fruit and refreshing elegance in its delivery and tannin structure. Aged 22 months in 70% new French oak. 2,733 cases produced. 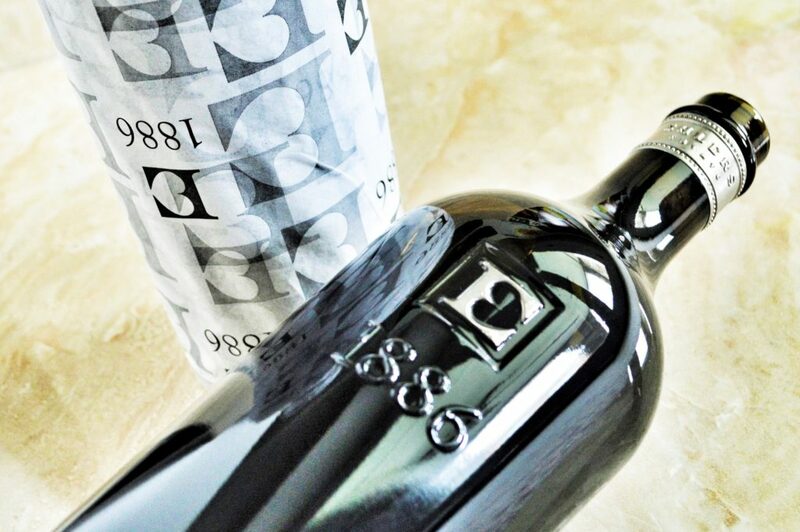 You’d be forgiven for thinking that the aforementioned elegance and sophistication is exclusive to the flagship ‘1886’ Cabernet, as that is sometimes the case. But at Ehlers Estate this seems to be the rule rather than the exception, the guiding philosophy that weaves the entire Ehlers Estate portfolio together. So whether you decide to start, or end your day at Ehlers Estate, you can rest assured that you’ll not only be drinking well, but that you’ll well taken care of, too. The team of professionals representing this historic winery is amongst the most proud, dedicated and loyal I’ve encountered. And how could they not be? After all, just one morning of receiving the Ehlers treatment was enough to seduce me! 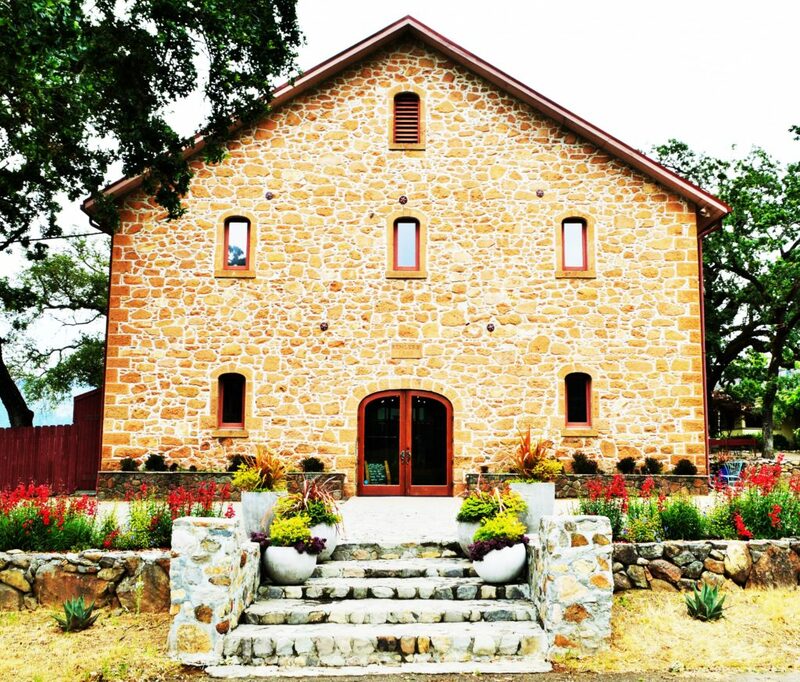 The historic stone barn built by Bernard Ehlers now houses the tasting room and offices. Tasting Fee: $35 for the Estate Tasting or the Start Your Day Tasting Experience. The Estate Tasting is complimentary for wine club members and up to 3 guests. Wine club members receive discounted pricing of $25 for the The Start Your Day Tasting Experience. Included in the Tasting: A selection of current release wines (Estate Tasting). Total Production: Approximately 10,000 cases annually. Appointment Required? Yes. Call 707-963-5972. Tastings are conducted seven days a week between the hours of 9 a.m. and 3:30 p.m.
Should You Go? 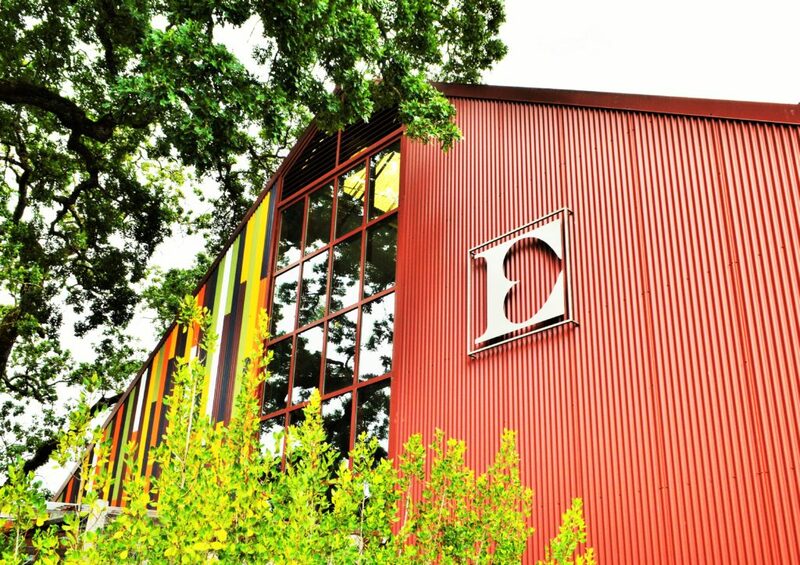 If you’re looking to experience beautiful, estate-grown wines poured by a knowledgeable, passionate team then Ehlers Estate is a must when visiting Napa Valley. 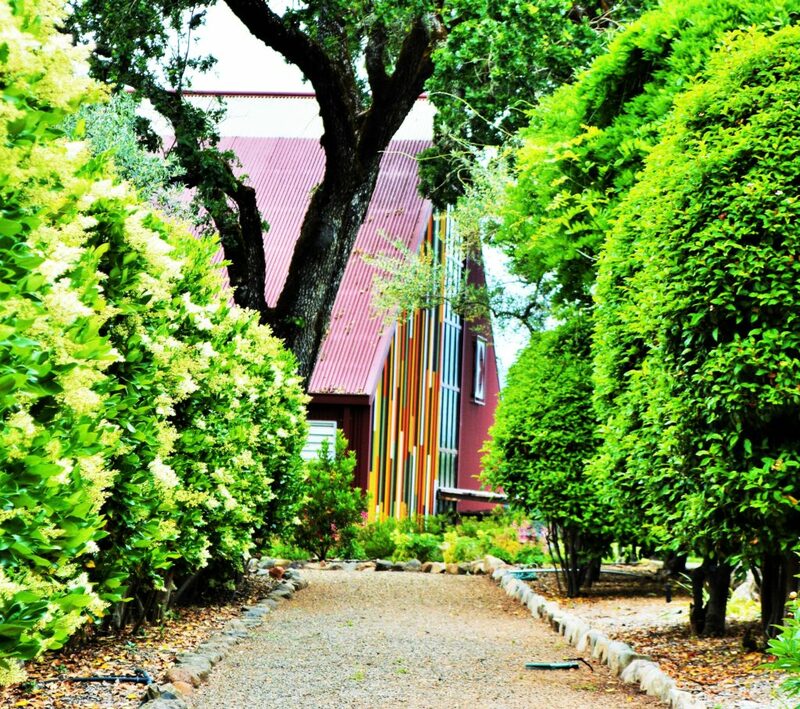 And if that’s not convincing enough – then the picturesque setting, in a historic stone barn surrounded by impeccable rows of vineyards, is sure to make you a believer. Ehlers Estate is one of the only wineries I know with a dedicated, full-time vineyard crew. The eight man crew is responsible for managing all 42 acres of estate vineyards. The vineyard manager, Francisco Vega, has been with Ehlers Estate since 2001. He resides on the estate with his family, and his eldest son aspires to be a winemaker. 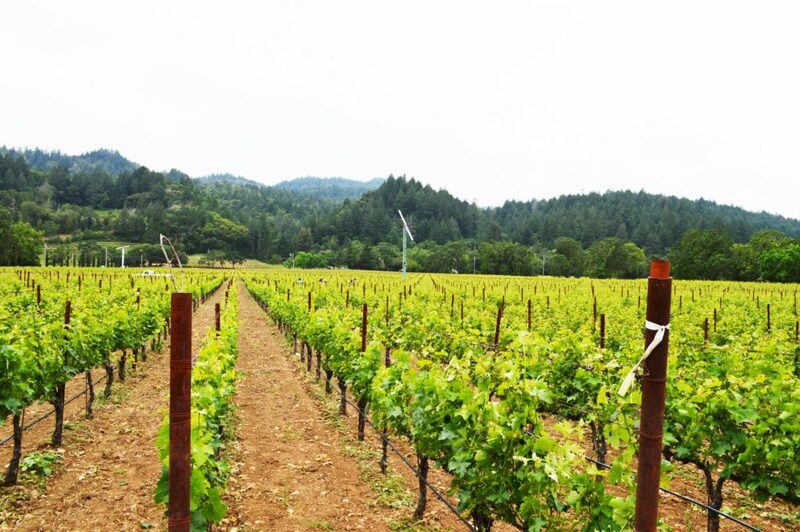 The estate is situated on a loamy bench between Howell Mountain and the Mayacamas. Ehlers Estate was founded in 1886 by Bernard Ehlers, when there was only 140 wineries in Napa Valley at the time. Bernard Ehlers was a grocer from Sacramento who had made a fortune selling prospecting tools the gold seeks, or “forty-niners” as they were called. (Between 1846 and 1852, San Francisco’s population ballooned from 200 residents to over 36,000). After Bernard Ehlers died, his wife continued to operate the winery until 1920 after which the estate was owned by several successive owners before being acquired a century later by Jean and Sylviane Leducq. This husband and wife team were successful entrepreneurs and philanthropists in their home country of France. But it was their love of wine that led them to acquire the idyllic Ehlers Estate. They believed the site was capable of producing world-class wines that could compete with the best Bordeaux examples. After several adjacent vineyard acquisitions, they successfully assembled the contiguous 42 acres known today as Ehlers Estate. **Wine provided as a media sample for purposes of review. No consideration was received for publishing this article. I love this! It makes me realize how blessed I am to work at Ehlers Estate. Thank you so much for visiting, your lovely review, and stunning photos. I can’t wait to see you in Lodi in a few weeks. My pleasure. Thank you for hosting me! See you in Lodi soon! Great article! 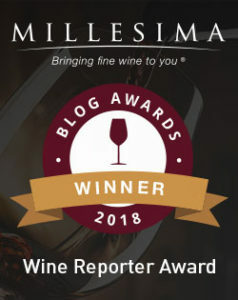 As members of the winery we found ourselves nodding all through your blog. Thanks for taking the time to check out my blog, John! Thank you for reading, John! We look forward to hosting you again soon! I’m a local in the Napa Valley and Ehlers Estates is one of my favorite wineries to visit and refer friends. The wines are fabulous as well as the team that works there. I’m glad you had a chance to visit them! Keep up the great articles!! Thank you, Kathy! Speaking of great wines, I hope things are going well at Verite! I find that I make my best decisions about wines in morning tastings. It doesn’t seem natural to be tasting wine much before lunch — but of course it’s different if it’s your job!